Bursting with vibrancy, pulsing with culture, and beaming with diversity Seattle's southern region is unlike any other in the world. With its wide array of ethnicities, the "south end" of Seattle is home to an extraordinary assortment of art, poetry, and literature influenced by its array of residents who spring from radically diverse walks of life. From tales of bus rides down city corridors chronicling an area in the midst of transformation, to the rekindling of love thought lost, to the struggles of life in a world that has seemingly left you behind, to the triumphs experienced by a community reliant primarily upon itself the stories told from the area are as rich as the people doing the telling. This collection of works from the area provides a taste of the creativity found in the living "American Mosaic" known as South Seattle, or as we like to call it, the most eclectic place on earth. Marcus Harrison Green, is the co-founder of the South Seattle Emerald, a former Reporting Fellow with YES! Magazine, a board member of the Western Washington Chapter of the Society of Professional Journalists and a recipient of Cross Cut’s Courage Award for Culture. Growing up in South Seattle, he experienced first-hand the neglect of news coverage in the area by local media, which taught him the value of narratives. 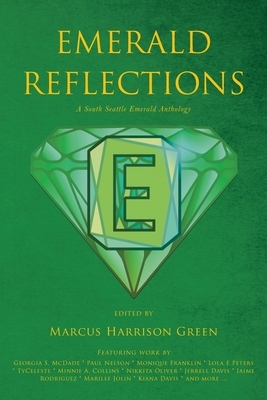 After an unfulfilling stint working for a Los Angeles based hedge-fund in his twenties, Marcus returned to his community determined to tell its true story, which led him to start the South Seattle Emerald. Green sees storytelling, particularly journalism as democracy’s most essential tool. He says its function is not only to speak truth to power, since the powerful most often already knows the truth, which is usually why they try to hide it. Journalism’s true job, he says, is to speak truth to the many who believe they are powerless; it reminds them they aren’t. He is proud to live in the “South End” of Seattle.